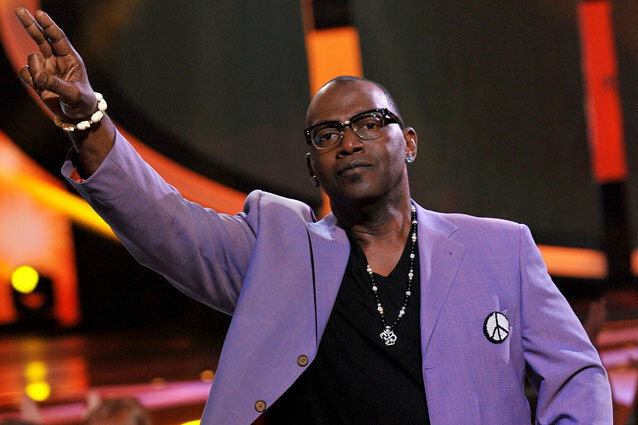 I can barely comprehend the following statement, but here goes: Randy Jackson will utter his last “In it to win it” next week on the penultimate episode of American Idol’s Season 12. After that, he will return full time to his other job: being a successful artist manager. This is the first confirmation of an Idol judge leaving since rumors swirled that producers were replacing Jackson, Keith Urban, Nicki Minaj, and Mariah Carey. “Yo! Yo! Yo! To put all of the speculation to the rest, after 12 years of judging on American Idol I have decided it is time to leave after this season. I am very proud of how we forever changed television and the music industry. It’s been a life changing opportunity but I am looking forward to focusing on my company Dream Merchant 21 and other business ventures,” he says in an exclusive statement to E!. But what are we supposed to do now? Look, Randy. I know that I’ve given you a good ribbing for going on four years now about your out of control us of “In it to win it” and “This is the start of the night, y’all” and, of course, “Yo, yo, yo” (or “Yo. Dawg.” – take your pick), but I didn’t mean it. After Simon Cowell and Paula Abdul left, I thought we were through. Then I realized that there was still some spark between you and Mr. American Idol, Ryan “Dawg” Seacrest. You started phasing out the made-up word “pitchy” in your commentary. My faith was restored. Then, when the weight of 10 seasons of judging young singers who all think they’re the next Mariah started to bog you down. You got a little saltier. You started being honest, almost mean, with contestants. “Yo, dawg. That was bad.” I liked it. Disgruntled Randy, with his increasingly colorful glasses and exponentially more ornate brooches, was a renewed Randy. You were tougher, and it worked. It didn’t matter that you said slightly nonsensical things like, “You slayed the biggest fish of the night” to Jessica Sanchez back in Season 11. It was no problem that most of the time, you really didn’t say much and your advice (as Harry Connick, Jr. recently pointed out) was stuck in the Idol bubble. It didn’t matter that as a judge, you weren’t really teaching the contestants anything. Your importance is a bit more lofty: Randy, you were one of our last ties to the original Idol – the one full of promise that finding the next Kelly Clarkson was constantly the goal and a distinct possibility. Now, without you, all we’ve got left is the slightly grating Idol theme song and Seacrest, who’s now shouldering the expectations of brand loyalists all on his own. We get it. Twelve years of commenting on the same 100 covers of classic songs would do something to a person. It would drive them to seek out greener pastures – or at least pastures where the 500,000th coming of William Hung isn’t a sure-fire encounter. And believe us, we could hear it in every word that came out of your mouth. But that doesn’t change the fact that selfishly and perhaps somewhat ridiculously, we always thought that the celebrity judges around you would filter in and out, like passengers as a commuter train, and at the end of the line, when Idol’s journey was over, you would hang up your “yo” pin and we’d all disembark together. That day will never come. And now the future of this pop culture staple is completely changed at a time when Fox seems hell-bent on making it match The X Factor and The Voice. Where do we go from here? Certainly not into any familiar Idol territory. ‘American Idol’ Hometown Visits Recap: Could Candice Go Home?